We know no matter how much snow falls in winter, spring is a’coming. No matter how much the summer sun burns our backs and drains our energy, soon enough, fall will whisk in sweaters, knee-high boots and Pumpkin Spice Lattes. We expect these things to happen every year, without fail. And in these rhythms, we find things to look forward to, even in the messiness of every season. But also in these rhythms, we begin to anticipate what is to come before the season even arrives because the season has come once before. We prepare in the same ways we always have because we’ve mastered being prepared so we’re not taken by surprise when life happens (and certainly it always does). We leave little room for the imagination, for the possibility of a familiar season to come around again. Through rote memorization, we go into new seasons without a second thought for what it may mean when a new season begins to look a little different than it did before. We know the seasons and mile markers for growth and development. We know what’s coming around the bend for our children because we’ve experienced it before. And, if we haven’t, we know countless moms who have; through their stories we anticipate what is to come. Eventually, the raising and nurturing of children can also feel like a rote memorization exercise because we anticipate the seasons of their lives. We know what is coming. We know how to prepare. We think we know what to do. But what does it mean for us to create space for each season, even the familiar ones, to be met with surprise and wonder? 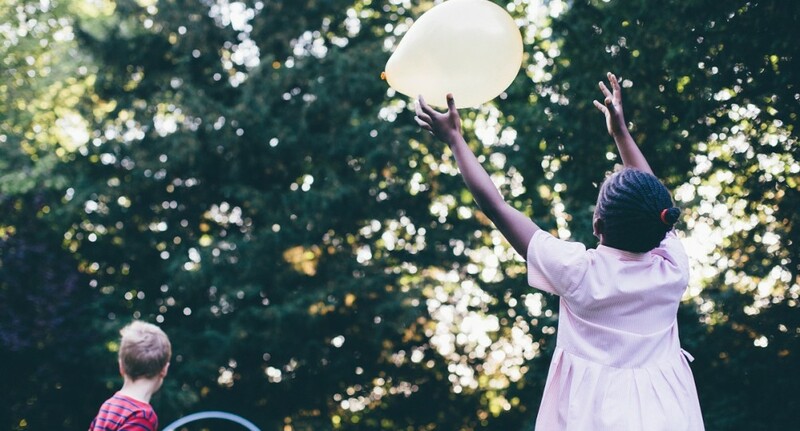 What does it mean for our children, as they take off into new adventures in school or a local playgroup, to walk into them expecting something new? I’m reminded of when my daughter, now 11-years-old, first entered kindergarten. She is my first (and only) child and any knowledge I had about this new “season” of her life (and mine!) was through the harrowing tales of my mom friends. I studied up on life as a kindergartner: Nap time. Play time. Learning time. Snack time! I read stories on Best Ways to Transition Your Toddling Toddler to a Victorious Kindergartner-ing Pro and 50 Ways to Kindergarten Proof Your Home and my favorite 10-Ways to Hide Your Tears on the First Day of Kindergarten: The Crazed Mom Edition. I used Facebook as a guide to what all my other friends were doing (or had done) as they prepared their children for the first day of school. I wanted to beat everything to the punch. I wanted to be ready, prepared, anticipating taking this new season by storm so the season wouldn’t take me. I filled my days prepping her (and myself) for this new season so much that there was no room for surprise and wonder. Just rote memorization of what I expected new seasons to be like. Familiar, common and of no surprise. But surprise and wonder met us. Like a superhero dynamic duo they whirled around us as we prepared for the first day of school through whimsical music seeping out of this 5-year-old’s toy boom box. “It’s gonna be a good day!” Hear that phrase 1,000 times (as children’s toys often do) and before I knew it this brown-eyed child began chanting, “It’s gonna be a good day! It’s gonna be a good day!” I laughed to myself. She was right. Today was going to be good – and no amount of preparation or anticipation could change that. My daughter went into her kindergarten class and started a new season of her life. She didn’t cry or hesitate to take on this newfound territory – she went on with reckless abandon not knowing how much her mom prepared for the day; not knowing how much I tried to anticipate what may happen that day. She simply let the season have its way. There’s wisdom in preparation. There’s a kind of peace that comes when we can have some foresight in what is coming around the bend. But what grace and liberty there is in knowing that we can prepare to a limit and then must yield to what the new season will bring. When we let seasons have their way, when we yield to their familiarity and sudden surprises, we create opportunities for imaginations to flourish, for our hearts to welcome uncertainty. For everything is a season. As the new school year begins and new seasons are upon us, we welcome the beauty and wonder of seasons that guide us into uncharted, wonder-filled territory. Alisha L. Gordon, M.Div. is a sought after writer, ministry leader, and speaker whose global impact has reached many for Christ through thoughtful preaching, beautiful worship, and socially conscious writing. 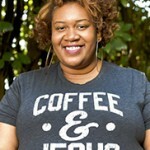 An Atlanta native currently in New York City, Alisha’s work has helped re-shape the stories of the marginalized and challenged people in both sacred and secular spaces to embrace new ways of seeing God and God’s people. She is the mom to fun-loving, 11-year-old, Ashli. Find her at www.alishagordon.com, Twitter, Instagram, and Facebook.